Basil's leaves are used fresh or dried. 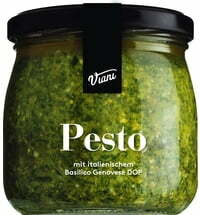 Basil epitomizes the Italian-Mediterranean cuisine. It seasons pestos, Insalata Caprese (a salad with tomatoes and mozzarella), Margherita pizza and pasta. 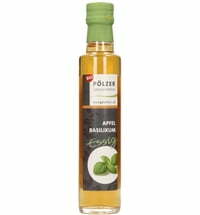 Basil originated in Western Asia, but was brought by the Romans to Italy and has been used in the Mediterranean for ages. 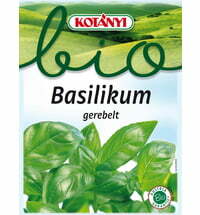 Today, basil is used worldwide and is a popular garden spice.